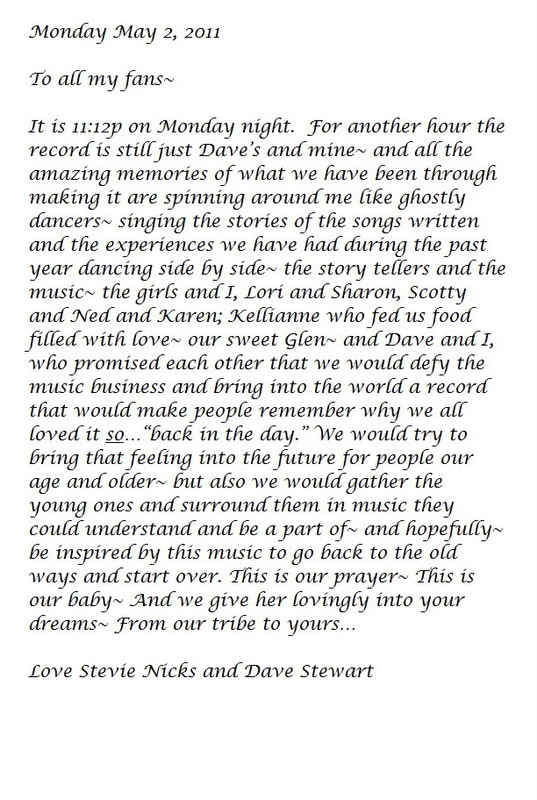 added info about the Up All NIght episode with Stevie airing March 29th at 9:30/8:30c. added a new tour date, Aug 9 in Houston (Tour Dates Page) Amex presale tomorrow! 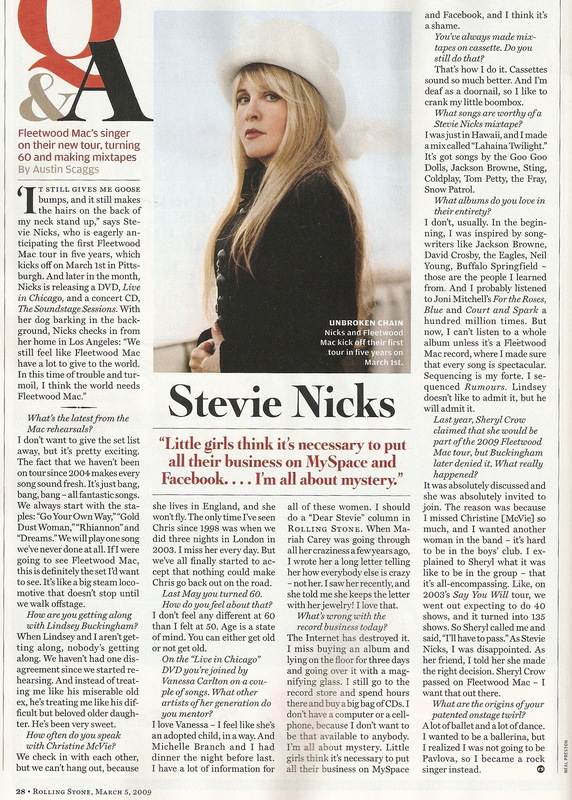 posted a new letter and photo from Stevie about her mother. added a link to a review of the Seattle Show from SeattlePI.com. added a link to the trailer for "In Your Dreams"